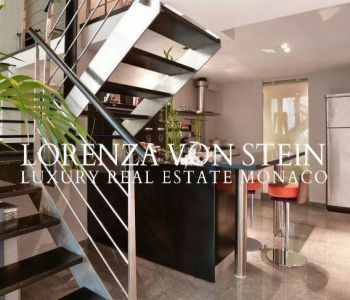 On the upper floor, the entrance hall leads into a large dining/living room which opens on the vast terrace with wonderful views, overlooking the harbour, a modern fully-equipped kitchen, guest toilet. 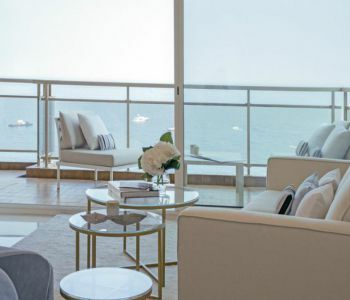 On the lower level, the master bedroom with a large bathroom opens on a terrace overlooking the world's most stunning yachts, and a second bedroom with a large walk-in closet. 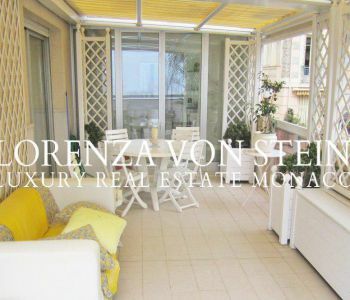 The total area of this apartment is 175 sqm, 135 sqm living space and 40 sqm are terraces. The property consists of 3 separate adjacent apartments: 1st apartment: 2-4 rooms (2 bedrooms), a formal living room/dining room. The total area of the apartment is of approx. 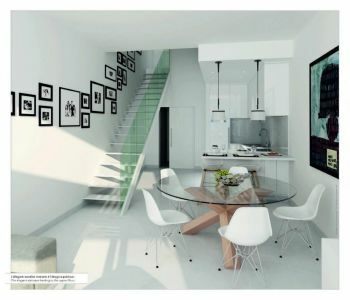 208 sqm (155 sqm living area + 53 sqm terraces). 1 cellar and 3 parking spaces. 2nd apartment: 4-5 rooms (3 bedrooms), a formal living room/dining room. The total area of the apartment is of approx. 294 sqm (221 sqm living area + 73 sqm terraces). 2 cellars and 4 parking spaces. 3rd apartment: 3-4 rooms (2 bedrooms), a formal living room/dining room. The total area of the apartment is approx. 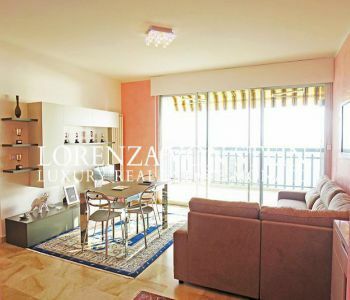 242 sqm (186 sqm living area + 56 sqm terraces). 1 cellar and 4 parking spaces. 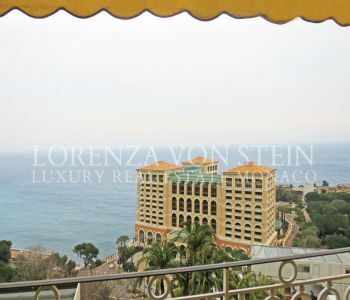 This property has a total living area of over 340sqm on 3 levels, luxuriously decorated and custom furnished. 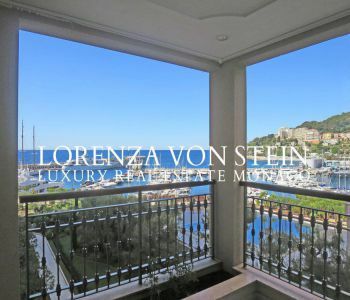 Including a roof terrace that overlooks the magnificent Mediterranean Sea and the port of the Principality. 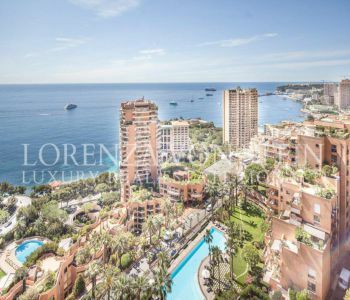 This stunning two-bedroom apartment has recently undergone a complete renovation with top quality finishes and appliances throughout. 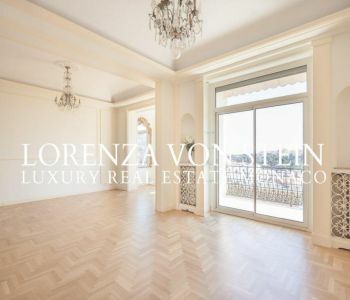 Benefiting from a corner position, this apartment boasts wonderful views over the harbor, the palace and the Mediterranean sea. 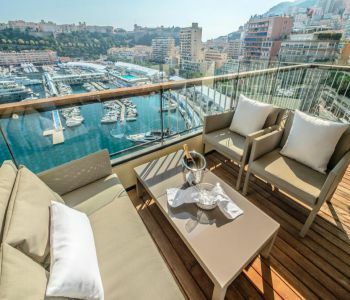 This is the perfect spot from which to enjoy the famed Monaco Grand Prix. It consists of a living room with direct access to the terrace, a kitchen which opens onto the dining room, a master bedroom with its en-suite shower room, and a further bedroom with its shower room. Additional features include guest toilet, numerous wall cabinets, home automation, surveillance cameras, reversible air conditioning, a parking space and a cellar. This wonderful three bedroom property has just been beautifully renovated throughout and transformed into a true luxury home. 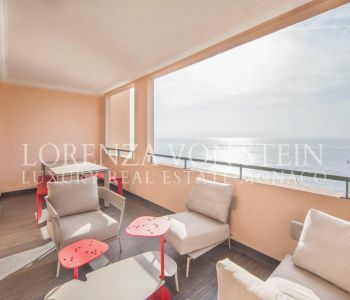 Situated on an elevated floor, the property boasts breathtaking sea views as well as south exposure ensuring an abundance of natural light throughout the day. 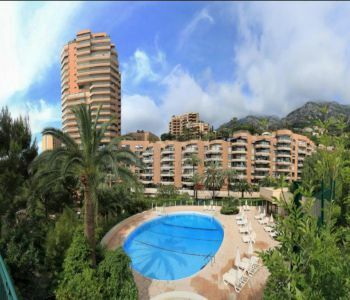 Located within a sought-after luxury building offering 24 hour concierge service and underground parking, it is walking distance to the beaches and the center of town. A parking space completes this offering. 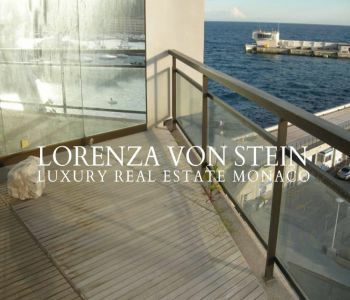 Composed of a large living room opening onto a terrace boasting panoramic sea and city views, a modern open plan kitchen fully-equipped with Gaggenau appliances, two bedrooms each with their en-suite bathroom, and an an additional guest bedroom or office space,as well as a guest toilet. Luxurious finishes have been utilized throughout including stunning marble tops and floors, led lights, as well as plenty of beautiful wood work. 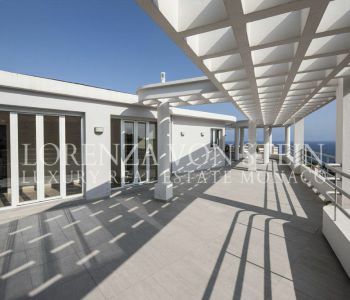 This stunning, fully renovated apartment of 238 sqm offers a magnificent sea view, in a modern and luxurious comfort. Each one of its four rooms overlooks a balcony or terrace and was designed to optimize the living space. 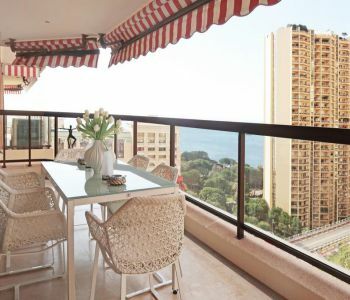 It is the ideal apartment for a family and for lovers of the sea. 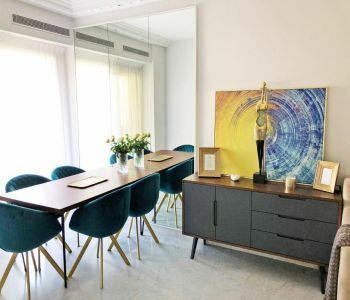 The apartment is composed of a generous entrance hall opening onto a vast double living room, three bedrooms with their en-suite bathroom or shower room and built-in cupboards, a guest toilet, a fully equipped modern kitchen and laundry room. 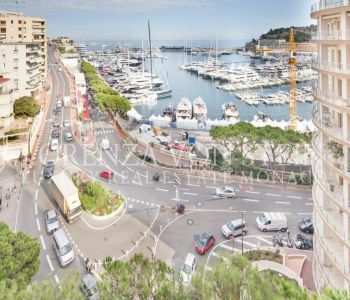 Located in one of the most sought after buildings in Fontvielle, a short walk from the bars and restaurants on the Port, the Princess Grace Rose Garden, the Carrefour mall and only a 5 minutes drive from the famous La Mala Beach in Cap d’Ail. Amenities include a swimming pool and round the clock concierge services. 1 cellar and 2 garages complete this property. Ideally located one-bedroom apartment, in excellent condition, currently converted into an office however it can also be used for residential purposes. 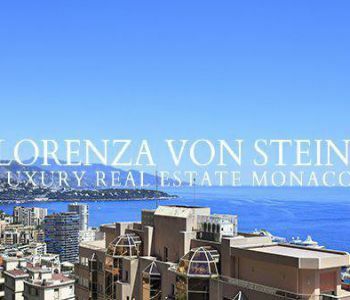 Situated on the high floor of a sought-after building offering 24h concierge service as well as easy access to both the boulevard des moulins, the beaches and the Monte Carlo Country Club. Possibility to acquire a parking space separately. The ideal family home offering three bedrooms, an abundance of living space, and high-end finishes throughout. 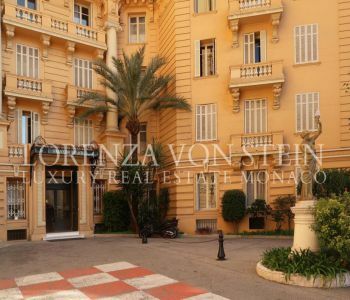 The property is walking distance from all the restaurants and shops on Boulevard des Moulins as well as the Larvotto beaches. The property is composed of a large living room with dining area and open plan kitchen, a master bedroom with en-suite bathroom, two additional bedrooms and a bathroom. 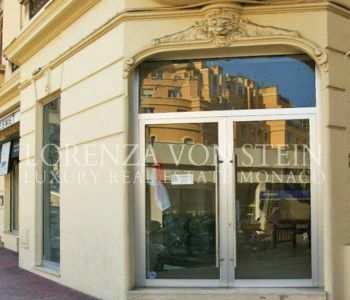 An additional lower floor offers extra storage facilities, a rarity in Monaco! 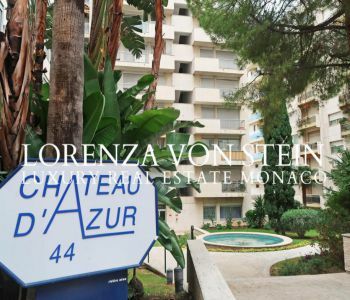 A parking space in the neighboring Chateau Amiral completes the property. Sous loi 1235. 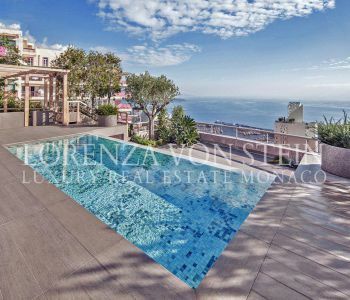 This exceptional triplex with private swimming pool offers superb panoramic views of the entire Principality. 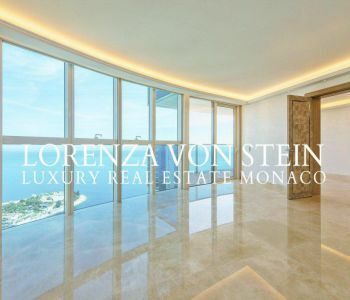 It is a true masterpiece of contemporary architecture boasting high-end, elegant finishes and unparalleled living areas of over 1200m2 spread over three floors. 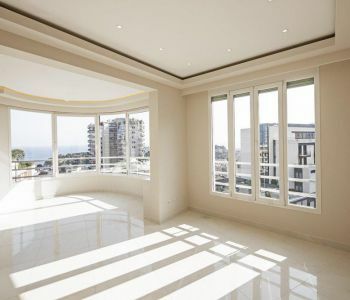 The grand triple living room features marble floors throughout and glass walls that seamlessly fuse the interior with the beautiful wraparound terraces. The adjacent high-end open plan professional kitchen features top of the line appliances, leaving nothing to be desired. The property consists of four bedrooms each with their walk-in closets and marble en-suite bathrooms. The exquisite roof deck features an infinity pool, jacuzzi, spa, and an outdoor summer kitchen tucked away with a wonderfully peaceful sitting area. This home is truly one-of-a-kind. 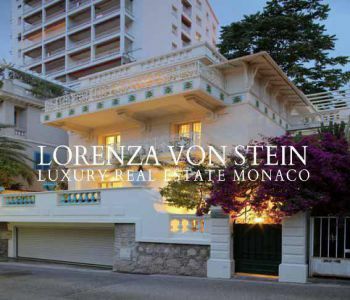 Four parking spaces and three cellars complete this magnificent property. 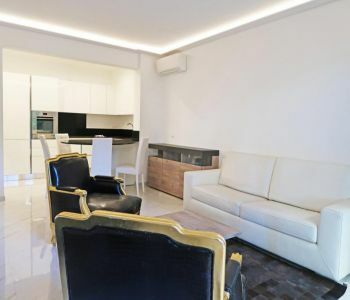 This trendy three bedroom apartment was recently entirely renovated to a very high standard offering contemporary and luxury finishes throughout. 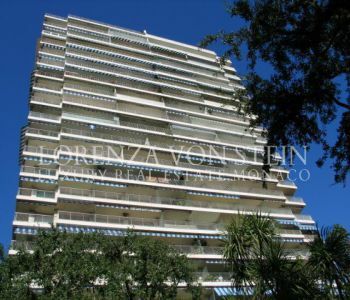 Situated a lovely bourgeois building within the calm and residential neighborhood of Jardin Exotique, this is an ideal property for families. 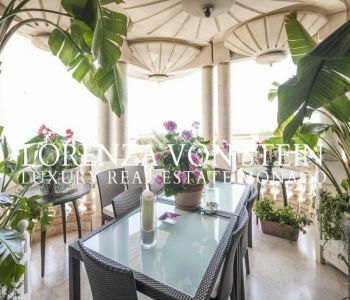 The property is composed of an entrance hall leading to a living room with balcony, a large fully-equipped separate kitchen, a guest bathroom, and three bedrooms each with their en-suite bathroom. 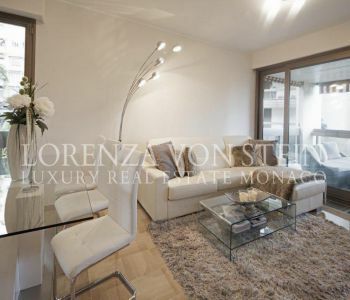 The apartment offers an abundance of natural light and charming city views. 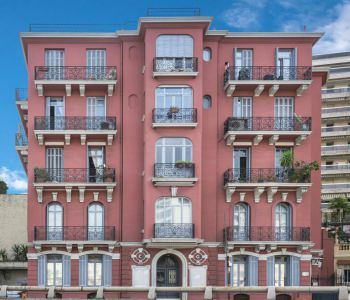 This elegant, classically inspired 5 bedroom apartment sits on its’ own floor in an exclusive residence with 3 separate entrances to the property. Have breakfast on the vast wrap-around terrace overlooking stunning views of the Mediterranean Sea and surrounding mountains. 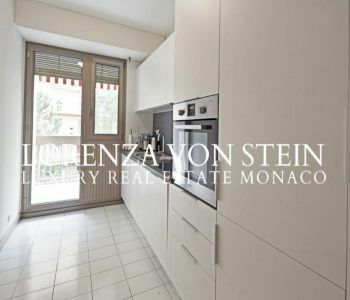 Within walking distance to the famed Monte Carlo Country Club. 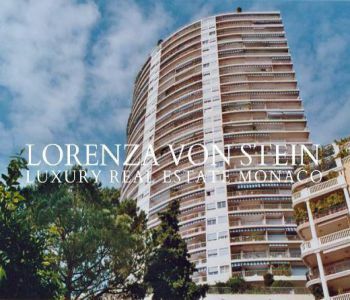 Located in a luxury residence with a swimming pool and round the clock concierge service. 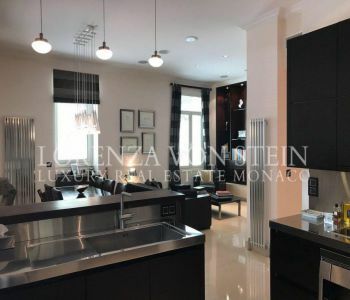 It is composed of an entrance hall with storage, a living room with an open-plan fully equipped kitchen leading to a vast terrace overlooking the Casino Gardens, two bedrooms each with their own marble en-suite bathroom and an abundance of storage. 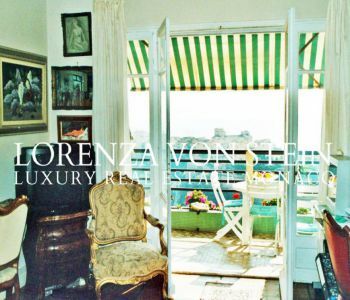 A further terrace off the second bedroom boasts stunning views of the port and the rocher. Additional features include gaggenau appliances, marble and wood finishes, and the use of mirrored walls give a substantial sense of space throughout the property. 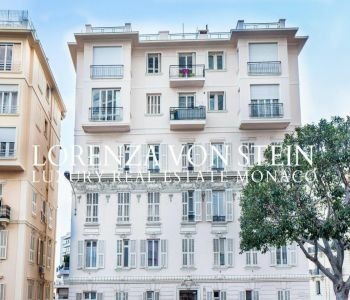 Located in a prestigious and sought after residence, the Parc Saint Roman, this property offers ample office space spread over two levels with an independent entrance and a parking space. 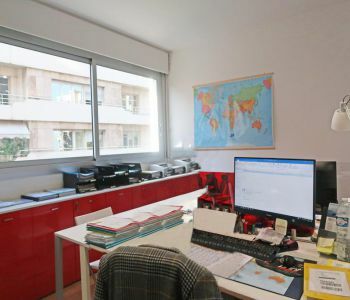 This office space has huge potential, it is composed of a total of 7 rooms distributed over 210 sqm with a large conference room and several individual offices. 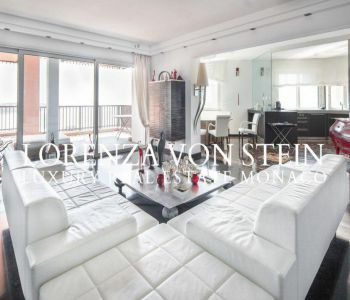 Every room of the apartment boasts high ceilings and leads to it’s own terrace offering an abundance of natural light. The property consists of a superb double living room and dining room, a fully equipped semi-independent kitchen, three bedrooms and three bathrooms. 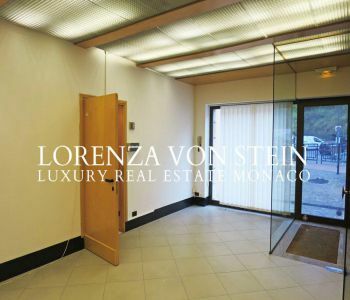 The property is offered with a parking space and a cellar in the building. The total living surface area is approximately 270sqm on 3 floors. Beginning on the ground floor, the property features lovely large windows, large open space with high ceiling, modern spiral staircases to bring you to the upper floors, and many independent spaces which can be used as offices. 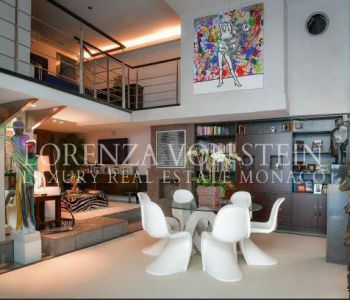 The 2 other floors are overlooking the main room like a mezzanine.This product is absolutely unique thanks to its large living surface area, big volumes and very modern interior design. Rented 11.000€/month+charges until September 30th, 2018. 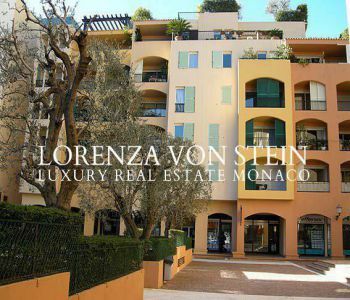 This luxurious spacious studio is located in a family and business friendly neighborhood in Monaco, Fontvieille, just a few steps away from the shopping center. 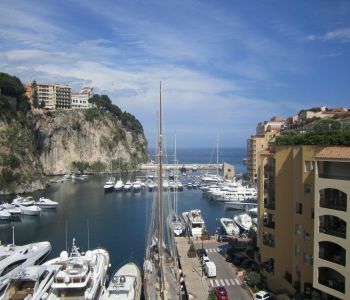 The property boasts a vast terrace overlooking the sea and the Fontvieille port. 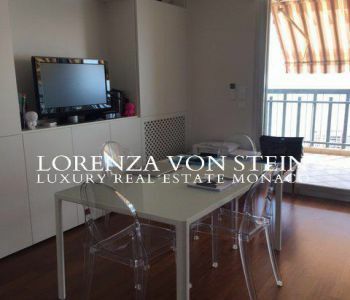 Recently renovated and rented completely furnished.The entrance hall opens to the fully-equipped kitchen, which perfectly complements the spacious living area. 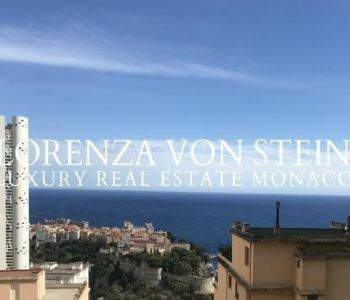 This lovely 2 bedroom apartment consists of approximately 150 sqm of living space and 15 sqm of terrace space offering magnificent sea views of the Mediterranean and the famed Grand Prix circuit. Rented with a parking space. 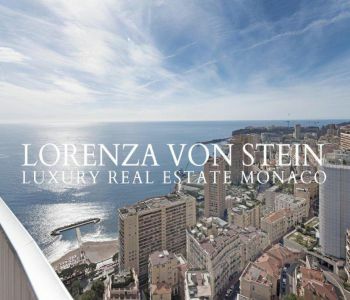 Here in this coveted residence, all luxury apartments bring in bright sunlight with high ceilings, large picturesque windows, and private sun decks that overlook breathtaking panoramic views of all of Monaco and the surrounding Riviera. Exquisite and tasteful finishes throughout include detailed moldings, finest materials for the floors, walls, ceilings, custom walk-in closets and bathrooms. The fully equipped kitchen offers a blend of ingenious functionality with the most high-tech equipment in the world. 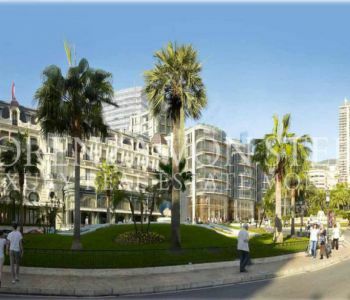 Top-of-the-line amenities include among other things, valet parking, chauffeur/limousine service, round the clock concierge and security service, on-site 'Cipriani Café' including in-house room service, spa with swimming pool, hammam and sauna, a beauty salon/hairdresser and more. 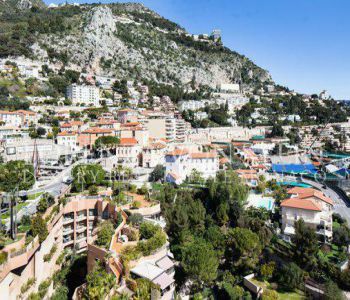 With only a few footsteps from the city center and the famed Larvotto beaches, Tour Odeon is situated perfectly in the heart of the Principality.